CDL-A Local Truck Driver $1,100+ weekly & Home Daily in the Randallstown, MD area! NEW COMPETITIVE Pay Package! NEW YEAR = NEW PAY! CDL-A Dedicated Company Truck Drivers Earn $75k+ annually in the Harrison, OH area! CDL-A Regional Truck Driver - $1,400+ weekly & $5,000 sign on bonus in the Collegedale, TN area! NEW YEAR = NEW PAY! CDL-A Dedicated Company Truck Drivers Earn $75k+ annually in the Star, NC area! CDL-A Regional Truck Driver - $1,400+ weekly & $5,000 sign on bonus in the Tipton, IN area! CDL-A Regional Truck Driver - $1,400+ weekly & $5,000 sign on bonus in the Clarendon Hills, IL area! CDL-A OWNER OPERATOR TRUCK DRIVER JOBS AVAILABLE in the West Chester, OH area! CDL-A Local Truck Driver $1,100+ weekly & Home Daily in the Neillsville, WI area! NEW COMPETITIVE Pay Package! CDL-A Regional Truck Driver - $1,400+ weekly & $5,000 sign on bonus in the Cullowhee, NC area! CDL-A Regional Truck Driver - $1,400+ weekly & $5,000 sign on bonus in the Homer, GA area! 2. Company Driver - OTR: Minimum 18 Months TT experience, operating a class 8 semi. Red Classic Transit is a Charlotte-based trucking carrier, operating in over 50 terminals throughout the Southeastern portion of the United States. We are pioneers, reimagining the transportation world for the benefit of shippers, carriers, and every member of the Red Classic Team. 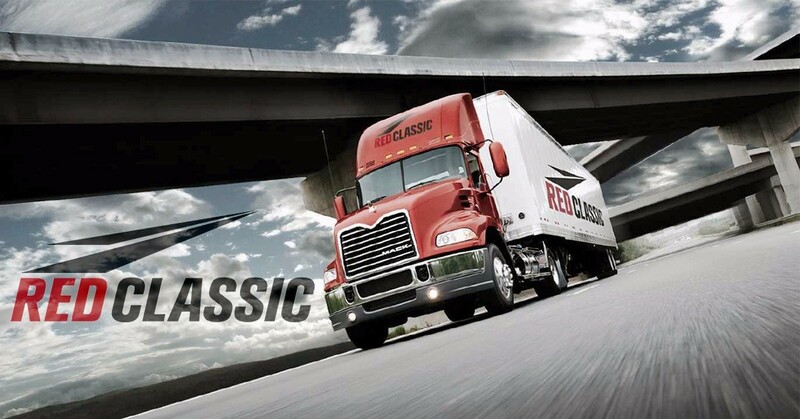 Known as a national service provider and operating in the lower 48 states, Red Classic’s asset-based fleet is known in the southeast as the dedicated carrier for Coca-Cola Bottling Co. Consolidated. Red Classic is a wholly owned subsidiary of CCCI.